All TER slip ring collectors are suitable for transmitting current with 50/60Hz frequency, and carry CE & EAC certification. They can be operated at ambient temperatures from -25°C to +70°C (-13°F to +167°F) and include shock and weather resistant thermoplastic protection to prevent accidental contact with live electrical parts. The 10A slip ring collector is rated for 10A operational current at up to 400VAC and is used mainly on small jib cranes. 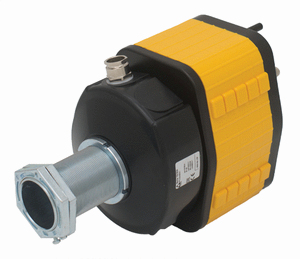 The 10A has 4 rings and is available with or without driving slot or coupling flange. The 10A uses graphite brushes. 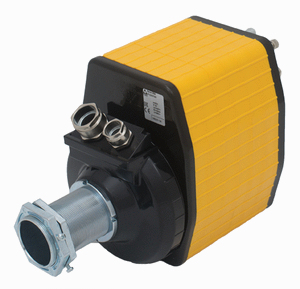 The 10A/30A slip ring collector may have only 30A line rings or it may be fitted with both 30A line rings and 10A auxiliary rings, up to a maximum of 40 rings. It may be fitted with either phosphor bronze or graphite brushes. 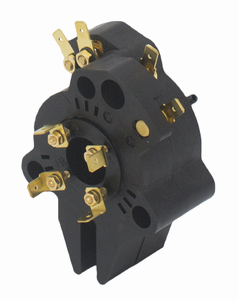 The 50A slip ring collector has 50A line rings (maximum 16 rings) and is fitted with phosphor bronze brushes.